Our goal this year is to raise $60,000! Join us to help reach our goal. Dr. Gur Singh began in 2004 the annual KBIA Golf Tournament as he witnessed first hand as a surgeon in Kamloops, the need for the services KBIA provides. Over the years, the tournament has become a powerhouse fundraiser for KBIA, inspiring Kamloops citizens and businesses to help people who are living with a brain injury in our community. But like many great initiatives, it started small—as a short conversation at a dinner in 2003. Dr. Vishwanath Malliah made an off-hand comment to Dr. Gur Singh suggesting Dr. Singh start a golf tournament to help the Kamloops Brain Injury Association (KBIA). Dr. Singh had not heard of KBIA, but he was intrigued; he also liked to golf. A separate conversation with head nurse of the Neuro unit and board member of KBIA, Mary Dmytriw, assured Dr. Singh that KBIA was a worthy recipient and because KBIA provided critical support for survivors of brain injury in the Kamloops community. The seed was began to grow. Dr. Singh rallied a group of enthusiastic supporters, including Dr. Malliah who served as co-chair of the tournament steering committee, and Dr. Bob Smillie who helped put on many of the tournaments, starting with the first in 2004. The steering committee’s vision remains the same: to create a memorable experience for golfers, donors, sponsors and participants while focusing on supporting survivors of brain injury, their families and caregivers. The first tournament was held at Rivershore Golf Links where golfers played one round of what was to become Kamloops’ largest and most successful golf tournament. These philanthropic golfers meant business! They raised approximately $17,000 for KBIA the first year, and they never looked back with donations increasing annually along with the reputation of this Kamloops-exclusive fund-raiser. Golf spots fill early every year. By 2006 the tournament added a second round of golf to accommodate all the players who wanted to attend. In 2010 the tournament moved to The Dunes at Kamloops where it has grown exponentially. When Dr. Gur Singh died in 2014, the tournament’s name was changed to The Gur Singh Memorial Golf Tournament. 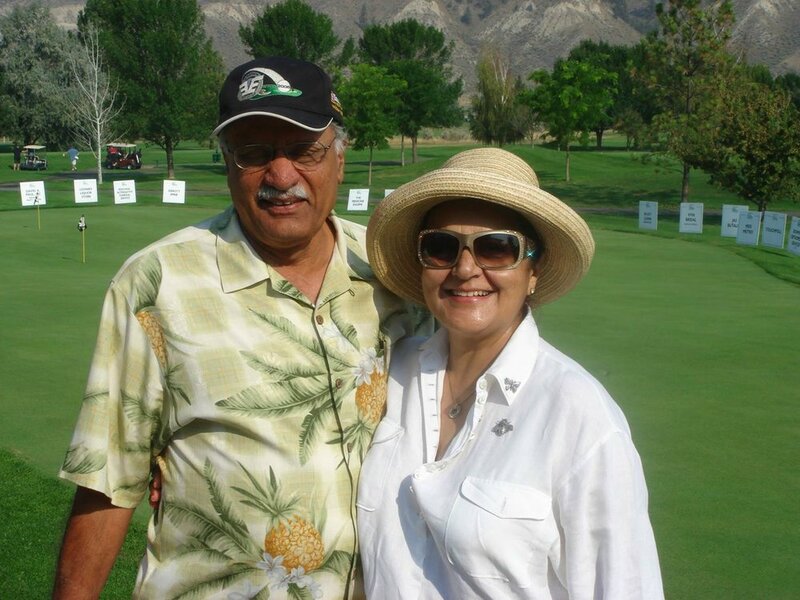 Each year golfers within the business community continue to support the spirit of the tournament and come out to support KBIA and reminisce about the late Dr. Singh. The tournament continues to be a great fundraiser for KBIA and a fun filled day for all participants. From a casual conversation, Dr. Singh’s inspiration lives on through golfers, businesses and volunteers who support KBIA. This tournament continues to be a cornerstone for KBIA’s ability to make a huge difference in the lives of people living with an acquired brain injury. Thank you for supporting us. Kamloops Brain Injury Association takes great pleasure in thanking all our sponsors for their continued support. We would also like to thank those who provided us with grants and donations. Whether the support comes from an individual or a business, its effect is substantial and lasting. Without your support, we would not be able to continue to provide the high level of services to individuals with acquired brain injury. Please show your support to them as well by visiting their websites and checking out their services. Dr. Gur and Manju Singh.